Use a (class 1) lever to project a ball of foil. 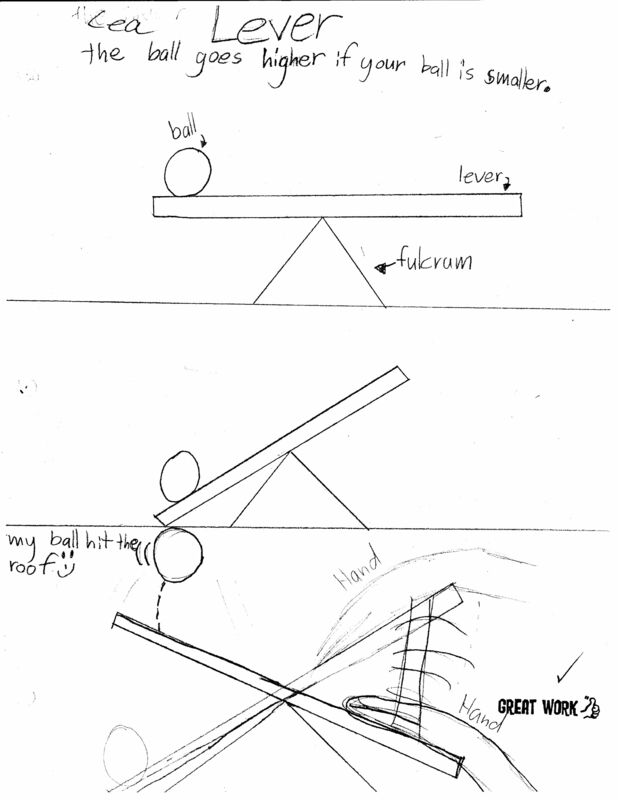 Experiment with changing the position of the fulcrum, and the force exerted on the lever. 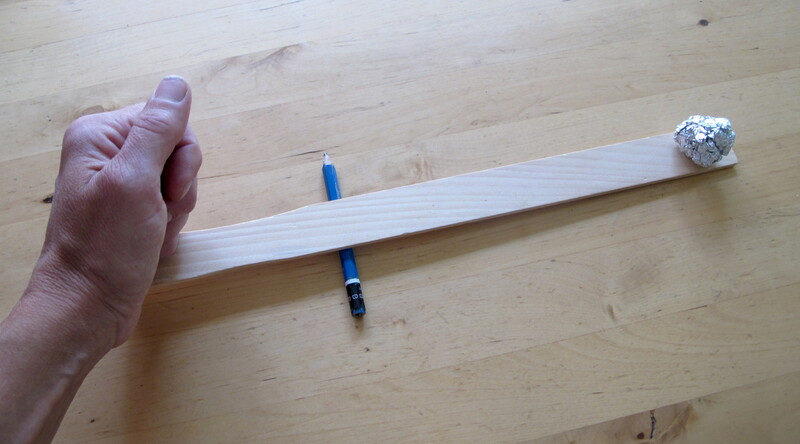 The paint stirrer/ruler is the lever arm; the pencil/dowel is the fulcrum (the pivot point). Balance the lever arm on the fulcrum, so that it can tip back and forth like a see saw. Make a ball to of foil, place it on one end of the lever, then push down on the other end of the lever to project the foil ball upwards. After students have played for a while, ask students to start taking measurements. They should make sure they can exert the same force on the lever each time to project the ball to consistent heights, either by dropping a book from a consistent height, or by using a constant force with their hand. Then, while using this consistent force they can measure the height the ball is projected for different positions of the fulcrum. Suggested worksheet attached for recording data. 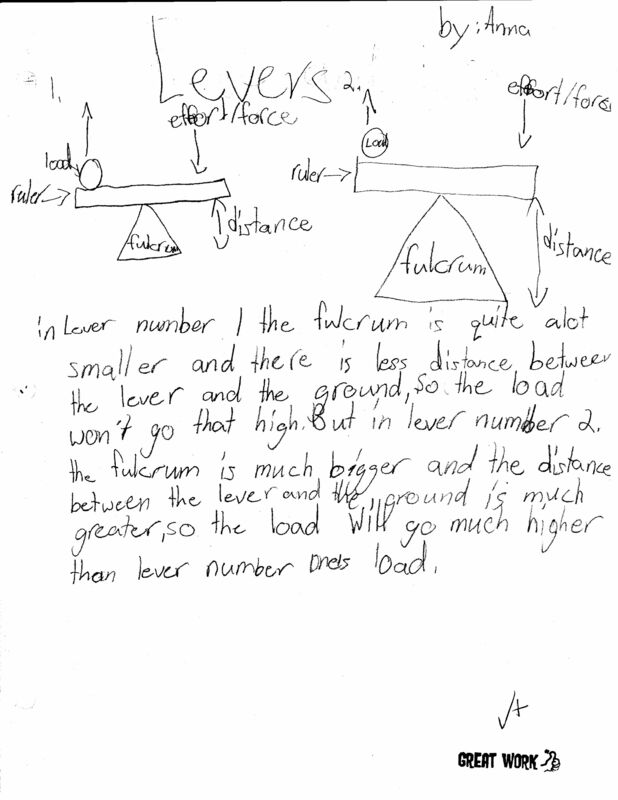 Students can be taught standard notation if using a drawing to record their results: the lever is drawn as a straight line and the fulcrum is a triangle under the line in the correct position. Students should add arrows showing where they apply force (“force in” or “effort”), and where the resulting force is felt to project the ball (“force out” or “resistance”). They should add notes or parts to their drawing to indicate the height the ball is projected. Older students might want to use metre sticks to measure how high the ball goes, and record results. Alternatively, numbers along the lever arm can be used to record the position of the fulcrum. 1. A lever can change the direction of a force (your hand pushes down, the foil ball goes up). Note that other classes of levers do not change the direction. 2. The more force put into the lever, the more force out, so the ball goes higher. 3. When the fulcrum is nearer the applied force, the ball goes higher. Students may also start experimenting with balancing the lever with different sized foil balls (like a see saw). See this balancing activity for further ideas to suggest if they go this route. Students can also use these materials and be given additional materials to try lever free experimentation, for some less structured exploration of levers, probably best done after these more structured activities. 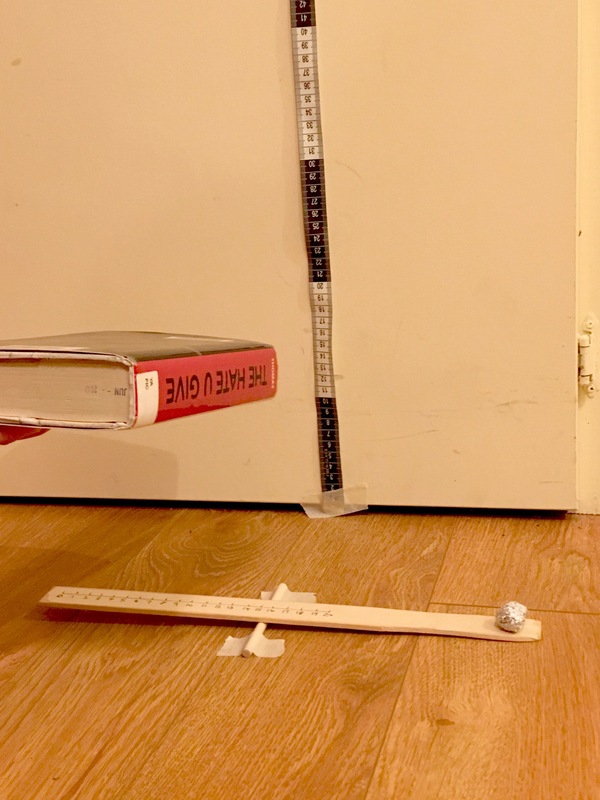 To measure the height projected in activity 2, do it near a wall with a ruler up the wall - one student can asses the height while another projects the foil ball. I initially used ping pong balls intend of foil, but they bounce chaotically around the classroom and get lost easily; they also need a tiny piece of play dough to attach them onto one end of the lever.